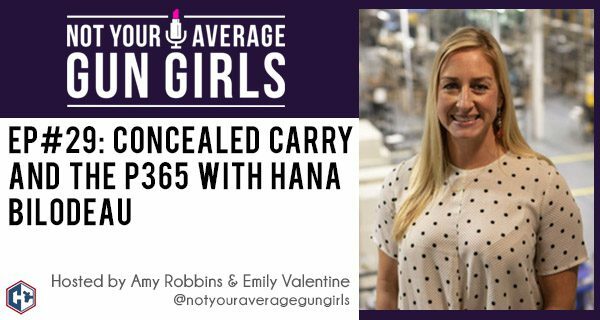 In this week’s episode, Amy and Emily catch up with Hana Bilodeau of the Sig Sauer Inc. Hana walks us through the P365, the initial issues with the firearm and how Sig Sauer has addressed those. The ladies talk why the P365 might be a good choice for your concealed carry as well as other options from Sig Sauer. They also talk through concealed carry issues affecting women, like clothing and carrying a spare magazine. Finally, the ladies discuss getting training with your concealed carry firearm and a few of the types of training available.